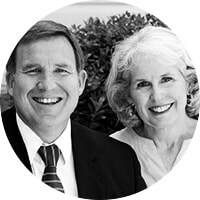 Bob and Cathi Selph are serving Christ Jesus in full time evangelism in inner-city Atlanta (since September 2015). They seek to shine the light and love of our Lord just west of Atlanta’s sky scrapers among a great population of impoverished African Americans. As they employ a variety of venues where they freely share the Gospel of Jesus Christ, they are involved in, and joyfully use the fine church, Cornerstone Atlanta, for their work of evangelism. Both Bob and Cathi were converted to Jesus as teenagers while living in Flagstaff, Arizona. C.H. Spurgeon’s sermons had a lot to do with that. Bob pastored two of our RBNet member churches for 29 years, and before that, he was on staff with two independent Baptist churches for 7 years. He also served as the Coordinator of ARBCA for 9 years around the turn of the century. Being very involved in the Southern Baptist Founders movement, he wrote the book, Southern Baptists and the Doctrine of Election, which was distributed widely throughout the SBC. The Selphs have 3 grown children, and 9 grandchildren. To God’s everlasting praise, their children and their spouses are walking in the truth, joyfully serving King Jesus in very faithful ways. Bob and Cathi have been blessed in the bonds of holy wedlock since May 8, 1971. ​Their sending church is Grace Baptist Church in Taylors, SC, USA. Copyright ©2018 Grace Fellowship Church. All Rights Reserved.